[S6] G.E. Cokayne; with Vicary Gibbs, H.A. Doubleday, Geoffrey H. White, Duncan Warrand and Lord Howard de Walden, editors, The Complete Peerage of England, Scotland, Ireland, Great Britain and the United Kingdom, Extant, Extinct or Dormant, new ed., 13 volumes in 14 (1910-1959; reprint in 6 volumes, Gloucester, U.K.: Alan Sutton Publishing, 2000), volume XII/1, page 488. Hereinafter cited as The Complete Peerage. [S9] Charles Kidd and David Williamson, editor, DeBretts Peerage and Baronetage (London, U.K.: DeBrett's Peerage, 1999), volume 12, page 1870. Hereinafter cited as DeBretts Peerage, 1999. [S6] Cokayne, and others, The Complete Peerage, volume IX, page 527. From circa 1652, her married name became Cavendish. [S6] Cokayne, and others, The Complete Peerage, volume IX, page 528. [S6] Cokayne, and others, The Complete Peerage, volume VIII, page 491. [S6] Cokayne, and others, The Complete Peerage, volume VIII, page 493. [S6] Cokayne, and others, The Complete Peerage, volume VIII, page 496. [S6] Cokayne, and others, The Complete Peerage, volumeVIII, page 496. [S17] Kate Fleming, The Churchills (London, U.K.: George Weidenfeld and Nicolson, 1975), page 23. Hereinafter cited as The Churchills. [S6] Cokayne, and others, The Complete Peerage, volume VIII, page 492. [S17] Kate Fleming, The Churchills, page 33. [S18] Matthew H.C.G., editor, Dictionary of National Biography on CD-ROM (Oxford, U.K.: Oxford University Press, 1995), Churchill, John. Hereinafter cited as Dictionary of National Biography. [S6] Cokayne, and others, The Complete Peerage, volume VIII, page 494. [S6] Cokayne, and others, The Complete Peerage, volume VIII, page 497. Richard Jenyns is the son of unknown Jennings.2 He married Frances Thornhurst, daughter of Sir Gifford Thornhurst, 1st Bt. and Susanna Temple. After her marriage, Judith Tichborne was styled as Countess of Sunderland on 16 December 1717. After her marriage, Judith Tichborne was styled as Dowager Countess of Sunderland on 19 April 1722.3 From 10 December 1724, her married name became Lady Sutton. 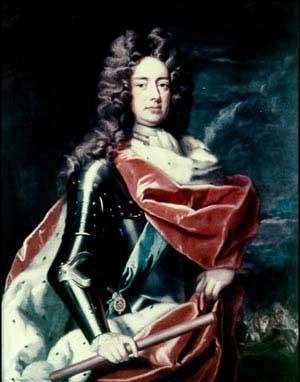 Cockayne states that "this third marriage greatly annoyed the Duchess of Marlborough. 'The relation of the young lady, whom he employed to make the proposition, did all he could to divert him from it, telling him freely that she was too young, not being much past fifteen, and of no experience as to family keeping or accounts, and no beauty, having somewhat of a squint look.' Elsewhere however, she is described as a 'very beautiful lady,' and Mrs. Delany says that 'she was very pretty, tall, and of a good figure, and very sensible and agreeable, though so shy and bashful that she by no means did herself justice.1' "
[S6] Cokayne, and others, The Complete Peerage, volume II, page 28. 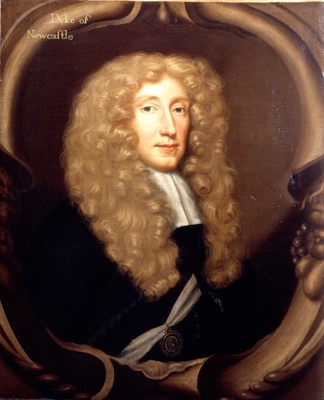 [S18] Matthew H.C.G., editor, Dictionary of National Biography on CD-ROM (Oxford, U.K.: Oxford University Press, 1995), reference "Pulteney, Daniel c.1684-1731". Hereinafter cited as Dictionary of National Biography. [S22] Sir Bernard Burke, C.B. LL.D., A Genealogical History of the Dormant, Abeyant, Forfeited, and Extinct Peerages of the British Empire, new edition (1883; reprint, Baltimore, Maryland: Genealogical Publishing Company, 1978), page 534. Hereinafter cited as Burkes Extinct Peerage. [S6] Cokayne, and others, The Complete Peerage, volume I, page 288.